Well, it’s been another long break between this and the previous Wargaming Bloggers Showcase. So, these aren’t brand new articles, but they’re still great articles worth checking out. I thought this was a great, and really simple, tutorial on making stone bases. There’s not much to it, but that’s what makes it great, and the results are awesome. The painting steps are also included. Broken Paintbrush – Book Released! Joe works very hard on his blog. He’s always putting out tutorials and general advice for those who read. Well, he’s compiled all that information into an actual book for the hobby. 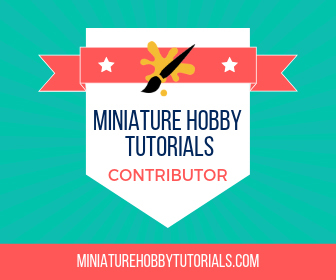 Having read it myself, it’s worth checking out, especially if you’re newer to the hobby. I found this an interesting read. It’s an editorial on the nature of the Chaos gods, and why Khorne, or more generally – a god of war, should not exist in the setting. It’s a good read. Some great articles there. Love Joe’s book, well worth the investment. Thanks for the shout out Thor! The article on Khorne was really interesting and he makes some great points about the non-gaming story side of the chaos gods. Yeah, I thought it was a bit different than the usual article, and what he said made sense to me.